* Was there a secret deal? * The witnesses who spoke to The papers early on..
* The Attorney General not wanting information divulged to the public that may cause a trial to collapse. I do not even remember the type of Pizza Joanna Yeates purchased being mentioned at trial, we only ever get the word Pizza mentioned. But I believe it is the type of Pizza that was purchased, that is important here, because only the Police and The killer should know this Information..
Is it the fact it's similar to a margherita Pizza ?? But what other Pizza is similar?? The last day or so I have been viewing "The Countdown to Murder" (Joanna Yeates) program... and that program considering it should have been made after the trial of Dr Vincent Tabak, throws up quite a few surprises.. It depicts Dr Vincent Tabak going back into the kitchen to retrieve the Pizza..
Now that should be easy enough for us to see on the counter "Tomatoe Mozzerella, basil ,pesto pizza" But it doesn't show that or a Margherita Pizza.... I found the following.. Similar in all respects, But why would the program use that Pizza?? It was never found, It is the type of information The Police would keep to themselves... So (imo) under no circumstances should the program have depicted that particular Pizza... It should for all tense and purposes have depicted the Pizza that The Police had described in the appeal that was made..
What type of Pizza did Joanna Yeates actually purchase?? (A): "Tomatoe Mozzerella, basil ,pesto pizza"
The killer removed the Pizza because he was evidentially connected to that Pizza.. Dr Vincent Tabak would have no need to remove the Pizza.. I'm still flummoxed as to how the program used that particular pizza.... Only the killer or someone close to the Investigation apparently knew what type of Pizza was purchased... Why would the program depict that Pizza?? Did someone give them information?? Joanna Yeates' mother, Teresa, is not in court this morning. How comes Mrs Yeates didn't attend court? Could be just me... but why would it be so quiet without her if she had already left home? "The Countdown to Murder Program" again gives us an insight into what apparently happened at the time..
Jo Murder Suspect... then it shows us an image of what we have been told id Dr Vincent Tabak.. The other two front pages do not have a date... And I cannot find any images of these headlines other than from the program..
Wouldn't the headlines be prejudicial?? Did these articles ever get published?? Can anyone verify that?? Vincent Tabak, 33, spoke only to confirm his name at the 27-minute pre-trial hearing at Bristol Crown Court. Miss Yeates's parents David and Teresa attended the hearing, arriving at the court accompanied by two police officers. Dutch architect Tabak has admitted the manslaughter of 25-year-old Miss Yeates, but denies murdering her. also to the side of the video we get this info.. Restrictions: No use by regional TV or radio in UK and Ireland until 3 days after date of creation. Prior approval required if clip features ITN newsreader or reporter, please contact your local Getty Images representative. I am like AH.... I do not believe in coincidences... I keep asking why?? There has to be a why? The conclusion may explain, I have said many times before that The Yeates should never have appeared at any hearing in relation to Dr Vincent Tabak... They witnessed as much as Greg Reardon did... Why were they not called as witness's at trial?? She texted a third male friend. She has said she was bored and she was looking for company. But Detective Chief Inspector Phil Jones, who is leading the inquiry, revealed that in fact she had not been wearing shoes or a coat and one sock was missing. The light-coloured coat she was wearing on the evening she disappeared was hanging on a hook at her flat and the boots she had on were also there. Detectives say they are ‘baffled’ by the disappearance of 25-year-old blonde Miss Yeates, who was last seen in two supermarkets on Friday night after a Christmas drink with colleagues at a pub. She then returned to the £200,000 rented flat in the affluent Bristol area of Clifton – where her coat, keys, purse and bank cards were found. Mr Reardon, whose phone and computer have been taken by police, is also an architect in the same practice as his girlfriend. CJ... we have images from I believe the 28th November 2011 of him arriving at The Royal Courts of Justice we are told it is to do with the Leveson"
Christopher Jefferies (L), who was wrongly accused of Joanna Yeates's murder, arrives with his lawyer David Sherborne (R) to give evidence to The Leveson Inquiry at The Royal Courts of Justice on November 28, 2011 in London, England. The inquiry is being lead by Lord Justice Leveson and is looking into the culture, practice and ethics of the press in the United Kingdom. The inquiry, which will take evidence from interested parties and may take a year or more to complete, comes in the wake of the phone hacking scandal that saw the closure of The News of The World newspaper. I posted about the change of venue, which had orginally been posted by Clio from the webslueths site..
Police searching for missing Jo Yeates say they have found a woman's body close to a golf course. No identification has been made on the body which was discovered about four miles from the flat she shared with her boyfriend. The discovery was made today by a couple walking their dogs in the Failand area of North Somerset, an Avon and Somerset Police spokesman said. A force spokesman said: 'At 9am this morning a couple walking their dogs found the body of a young woman in a roadside verge in Longwood Lane in the Failand area of North Somerset. 'The area has been cordoned off and Longwood Lane has been closed at both ends by police, pending an examination of the scene by crime scene investigators. 'A pathologist will be attending the scene to examine the body. Our thoughts are with the family and friends and colleagues of Jo Yeates, landscape architect in our Bristol studio, whose disappearance and tragic death over the Christmas period remain a mystery. "We are struggling to come to terms with the tragic and untimely death of our colleague Jo Yeates. She was a very popular member of staff and a talented and committed professional with a rewarding career in front of her. She will be sorely missed and our heartfelt thoughts go out to her parents, Teresa and David, and to her long-term partner Greg, who is an architect with BDP, also in Bristol. We are currently considering the most appropriate way of remembering Jo and will issue a further statement in due course." We had speculation that Melaine Hall murder was connected... Glenis Caruthers too was mentioned with the similarities..
Glenis Carruthers, 20, was found strangled outside Bristol Zoo on Jan 19 1974 after being seen with a young man. She was in the city to attend a party just half a mile from Miss Yeates’s flat. Miss Carruthers’s killer has never been found despite a cold case review this year, involving the latest DNA techniques. Avon and Somerset Police said yesterday they had no comment to make about possible links between the two killings. 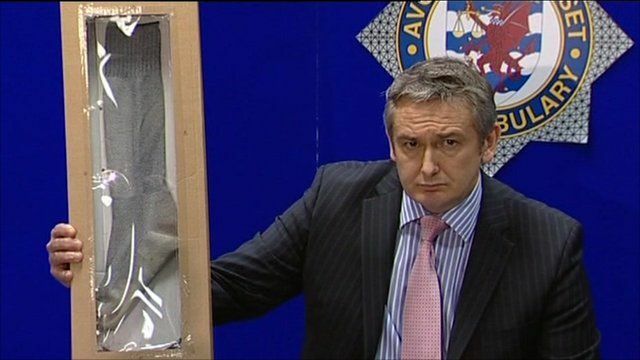 But police involved in the cold case are believed to be working with officers investigating the murder of Miss Yeates. A string of beads Miss Carruthers was wearing at the time of her murder is to be sent for testing. Then for the full bangs and whistles we throw in 7 fire trucks for good measure.... These were forgotten about at trial... maybe they weren't in the script!! Clegg The Master defender ... The man who made my head spin... I couldn't understand him vilifying his own client..
My source is an idiot and wrong!!! I am 100% certain that Chris Jefferies, under suspicion for the murder of Jo Yeates, will be charged with murder within the next 12 hours. @Uni_Start are u related to tanja morson from Canynge Road?